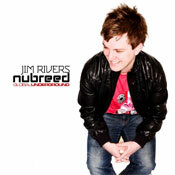 After a hiatus of seven years, Global Underground are proud to resurrect their Nubreed concept, as rising British dj and producer Jim Rivers steps up to the plate to relaunch the series. Following in the footsteps of such names as Danny Howells, Lee Burridge, Anthony Pappa and Lee Burridge, Jim delivers a double disc of music featuring classics from Aril Brikha and Didier Sinclair alongside new material from Guy J, Unkle, Nick Muir, Stimming, in addition to new material from Jim himself. A global world tour will accompany the album with a launch party at the 2009 Winter Music Conference on March 25th, ahead of the album's release on March 30th. The undergrounds rumour mill has been going into overdrive for the last few weeks, but its finally time to set the record straight. After a break of 7 years, Global Underground is to resurrect their legendary nubreed compilation series, with rising Brit star Jim Rivers stepping up to the plate for the first album. The DJ mix series that began in 2000, helped launch the careers of some of modern dance musics greatest DJs - Sander Kleinenberg, Danny Howells, Steve Lawler, Lee Burridge, Anthony Pappa and Satoshi Tomiie. 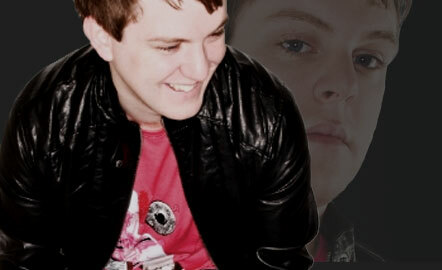 Following that illustrious line up, Jim Rivers has gained a worldwide reputation for his glitchy, groovy electronic sound, with an enviable CV notching up frequent dates at clubs like Ministry of Sound, Shindig and Urban Gorilla in the UK, as well as an international schedule thats seen him return to countless venues across the globe. His production pedigree includes Saved, Bedrock, Global Underground, Mouseville, Four:Twenty, Simple, Renaissance and Saw Recordings, and his own label, Misfit Records. nubreed 7 will be released on 30 March 2009 accompanied by a Global World Tour.